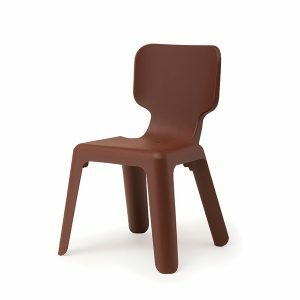 This practical as well as elegant 360° Container 127 was created by the German industrial designer Konstantin Grcic for the Italian label Magis in 2010. The 360° Container with its height of 127 cm, also known as 360° Rolling File Cabinet, presented here is the higher version in the innovative 360° collection of office furniture. As its name suggests, the 360° Container 127‘s 10 identical elements can be rotated 360° as needed. Features: 10 drawer units on wheels. 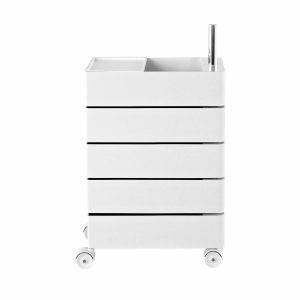 This practical as well as elegant 360° Container was created by the German industrial designer Konstantin Grcic for the Italian label Magis in 2010. 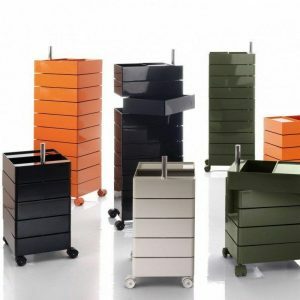 The 360° Container with its height of 72 cm, also known as 360° Rolling File Cabinet, presented here is the lower version in the innovative 360° collection of office furniture. As its name suggests, the 360° Container 5 identical elements can be rotated 360° as needed. 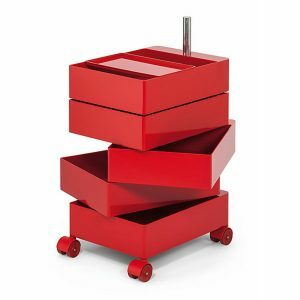 Features: Drawer units on wheels. 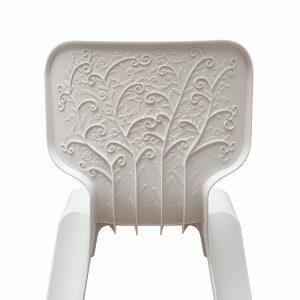 The heart of the Alma project lies in the ribbing of the backrest. Structurally necessary, it was resolved by making the branches of a tree, upon which Mariscal’s creative impetus accordingly perched some little birds here and there.